Designed for those who plan, design, install or maintain service provider networks, CommScope Broadband Training Courses cover both commercial and residential applications for multiple system operators (MSOs), network operators and service providers. Understand the growing market for Broadband technologies and their applications. Select the topics best suited to you. This course is of interest to anyone working with Broadband Infrastructure, and all technical abilities. Certification is valid for up to 4 years, with regularly updated course resource material accessible throughout validity. Access our entire course library, with regularly updated resources available both during and after your course has been completed. Multimedia classes and assessments make training quick, engaging and interesting. Train to your schedule and learn on the go; from your computer, tablet or mobile. Our experienced training developers are industry experts; dedicated to practical instruction and support to ensure you understand what can be complex material. Gain certification and validation from a globally recognized company. 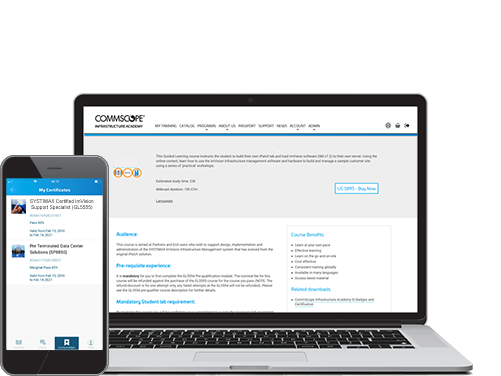 For relevant training courses, photo ID badges are provided to CommScope Partners via the Infrastructure Academy App. Self-paced training that prepares you to further your career in networking and infrastructure roles in public and private sectors. 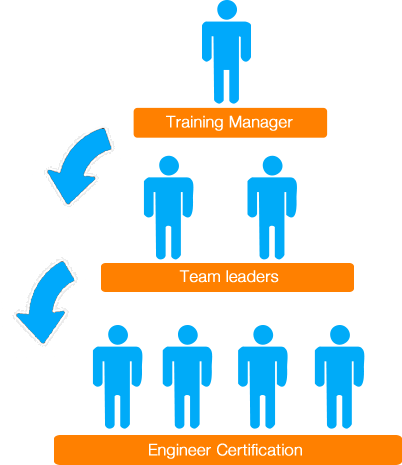 Easily contactable support team to offer practical, practiced advice, to support you throughout your training. Keeping a team of varied abilities certified, productive and up to date can be challenging, especially if they are on site or away from the office. Cost effective, online training for entire teams, regardless of technical ability. Course is adaptable: students can learn at their own pace, choose most relevant topics, and learn in their language of choice. Team productivity is enhanced as online training fits around day-to-day schedules. Your employee retention is improved, your workforce is better skilled and your company profile is increased. Receive the certification to progress to higher levels in electrical engineering, communications technology, and related fields. Be employable for Broadband/FTTx cabling and infrastructure related jobs in both public and private sectors. Enhance your skills and profile by understanding the principles of Broadband/FTTx and its applications.